I’m sure that there are situations in your life, the mere thought of which are terrifying. For some folks it’s public speaking. For others it’s hosting a dinner party. 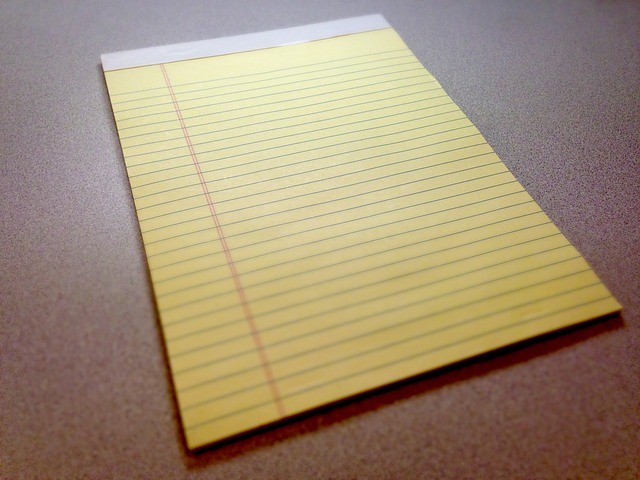 For many business people I know it’s facing a blank page. Many authors have delivered quotes about that challenge. Most of the good ones welcome the empty expanse of the blank canvas as an opportunity for personal growth. Not so much business people. They are making commerce, not art, and so there really are wrong answers. A faulty business plan. An unclear presentation that won’t deliver a sale. Maybe even a blog post that means to be thoughtful but never quite hits the mark. I face that vast wasteland every work day morning and here is what I’ve found with respect to navigating it. First, try to get yourself into the recipient’s head. If it’s a presentation, your focus is on the reason they’re seeing you, whether it’s at a conference or a one on one meeting. If it’s a piece of writing such as this, what question are you answering or what enlightenment are you bringing? Next, don’t get too caught up in the words as you write them. You can’t edit what’s not on the page. I know you all believe these screeds come out of my head fully-formed, like Athena from the head of Zeus but there is a fair amount of editing involved. Embrace the help others can bring. Let them read drafts and ask them if anything is unclear. Be sure you don’t ask the person who would totally understand it even if it was all over the place. Maybe the receptionist? Every blank page is a challenge, but the hard part isn’t in the creation. It’s in having something to say that others will find worth their time. Hopefully, this was worth yours! One of the things I do to amuse myself when the weekend weather isn’t cooperative is to play video games. I’m almost done playing the Mass Effect trilogy, which I highly recommend. The games’ story revolves around a galactic war between biotics (humans and other species) and synthetics – machines, basically. I flashed back to the game as a dozen articles about programmatic media buying came through my news feeds. I don’t think it’s a shock to any of you to read that media buying has been transitioning from the personal, relationship-based business in which I grew up to programmatic. People don’t talk to one another in today’s media buying and selling business: machines do. The days (and nights) of long lunches, emailed proposals, phone calls on Friday afternoons to sell out the weekend, and the entire one-to-one negotiating process have become mostly a memory. I get it. Programmatic is far less labor-intensive and a lot more efficient than the way I learned to sell media. Efficiency, however, isn’t the total story and as the machines take over quite a few other things get lost. The biggest one in my mind is transparency. In many cases, the current media buying platforms primarily provide breakdowns of networks, and total schedule dayparts, and only after the campaign is complete do you see what has transpired and individual spot affidavits are shared. Clients (the people who pay the bills, after all) are spending big chunks of their budgets on a plethora of middlemen, each of whom extracts their little pound of flesh for touching the buy. It’s common for a third or more of the buy’s budget going to pay for services rather than media. The biggest issue I have, frankly, is the loss of context. Buying has shifted to buying audience delivery from buying based on content. The machines buy and sell cookies, basically. Those cookies might enable the buyers and sellers to learn quite a bit of information who is on the other end but they don’t add context. Does that matter? Indeed it does. “While it certainly offers the opportunity to reach audiences more efficiently, our research shows that advertisers can’t ignore the strength of the publisher’s brand as a fundamental part of the ad experience and overall effectiveness of the campaign.” That’s a quote from chief marketing officer and chief client officer at Millward Brown Digital as he reported on a study they had done. According to Millward, as the “Brand Score” went up, so did the fit of advertisements, the consumers’ enjoyment of the ads, the trust consumers placed in the ads and the usefulness of the ads. Millward based its ratings on behavioral and attitudinal data collected about the consumers that visited the 44 sites during February 2014. It’s not just about getting the right message to the right people at the right time. It also involves the right place (read site/program). I think that takes a human touch. While beer ads make sense to a young male, those ads on a page containing “beer” and “drinking” keywords might also be a report of a car wreck due to drunk driving. The human touch in media buying alerted us to when an episode might have subject matter that’s wrong for our ad. Buying audiences without regard for the show they’re watching or site they’re reading is allowing the machines to win at the expense of our marketing. As the guys who spent the weekend battling them, I say no. You? Yesterday, we began our Foodie Friday Fun with my description of a bad customer experience and the lessons learned. Today I’ll continue the tale with what happened after I ended up in an Irish Pub due to a blown reservation and a nasty storm. Having been seated in a nearly empty pub, I waited for a server to appear. The fellow who showed up had little energy and stood there wordlessly awaiting a drink order. I asked about “espresso vodka” (don’t judge) and was told they didn’t serve espresso or cappuccino. That was not a good sign. I ordered a black and tan, something that’s a staple of any Irish place. “No draft beer at all. It’s a building problem.” After ordering something very simple to drink, I waited. And waited. And waited. I looked into the bar area – it was pretty empty. Eventually my drink and server appeared. I asked about specials – there was a “catch of the day” on the menu as well as a couple of other dishes that changed daily. “We don’t have any – just what’s on the menu.” I made my mind up then and there that I would have a little something to tide me over and head elsewhere for supper. The artichoke and crab dip that showed up was badly made (chunks of unmelted cream cheese, very little crab or artichoke) and delivered to the table warm, not hot. I can’t blame Mr. Personality for the food but it was his lack of attention and knowledge that changed my mind about staying, costing his employer a larger check and him a larger tip. After the storm, I walked across the street to the local iteration of Brio, where I met James. I had barely taken my seat when he appeared (in a fairly full place) to offer me a drink, comment on the storm, and begin to tell me about the menu. I asked for a wine list and it appeared in a few seconds, along with a few suggestions about what was well-priced and delicious. The rest of the meal went the same way – highly competent service delivered with an engaging personality. It was so good that I asked him who had trained him. He told me he had gone to college for a degree in hospitality. Boy did it show! He also asked if I would tell his manager which, of course, I agreed to do. It was the only time that James wasn’t squarely focused on me. These were two diametrically opposed service experiences. In one place the server had such a negative effect that I left and the business lost revenue. In the other I ordered a dish I might not have otherwise, tipped extremely well, and left impressed by the professionalism of the entire operation. It reinforced everything I believe about proper training, good management, employees for whom the business was a career and not just a job (James was not waiting tables while looking for a “real” job) and customer care being a direct route to more revenue. 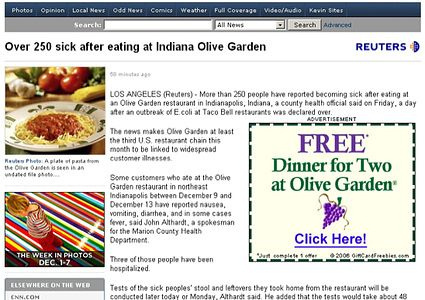 Was it the best Italian food I’ve ever had? No. The food was very good but it certainly was one of the best service experiences and it made the food better as well as the evening a lot more enjoyable. The night ended with a dessert sent over by the manager with his compliments. Believe me, the pleasure was all mine. I’ll leave highly positive reviews around the web but I’m hoping you take away the business points I did. Amazing how in the space of 2 hours one can see both ends of the service spectrum! I know it’s Thursday, but we’re going to begin our Foodie Friday Fun today. This is actually a two-part post about my dinner experience the other night and there are some instructive business points I took away. I’ve been traveling this week on business. A fellow has to eat, so I had made a reservation via Open Table a week or so ago. It’s a place I had been before and liked a lot. Upon arrival, there was a note on the door that the place was closed for a private party and all non-party seating would be outside. I’m not a huge fan of dining al fresco and given there was a massive storm about 2 minutes away (no exaggeration – thunder, lightning, heavy rain, and extreme winds), outdoors was no option. There was no one from the restaurant at the host stand to provide further detail. I flagged down a waiter, explained that I had a reservation, and asked if there a table someplace away from the party where I could dine? He went to find a manager and came back with a polite but firm “no”. Under normal circumstances, I might be a little angry and very disappointed. Given that leaving the area was a non-starter (by this time it was a deluge), I was mad. The place is in an indoor complex with other restaurants but most were fast food places that held no appeal. I ended up in a faux Irish Pub and we’ll continue the tale there in a minute. What could have been done differently? First, if the party was booked prior to last week (I’m willing to bet it was), the times should have been blocked in Open Table. The manager must have been counting on outdoor seating being available and thought he could double-dip – have a big party and serve a bunch of covers as well. It was not possible due to the weather, but even if it had been, anyone making a reservation (me) should have been informed they must eat outside. Second, they should have reviewed the day’s reservations as they opened up and reached out – my contact information is in the reservation – and said there was a problem. In a perfect world, they’d offer a suggestion of a comparable place and maybe even make the reservation for me. Third, someone should have been greeting the diners they were turning away. There was a table greeting the party goers but it wasn’t staffed by restaurant employees. In short, this place put their own needs – the party, maximize revenues – ahead of the needs of their customers. There were a few others who showed up when I did and who seemed equally disappointed. 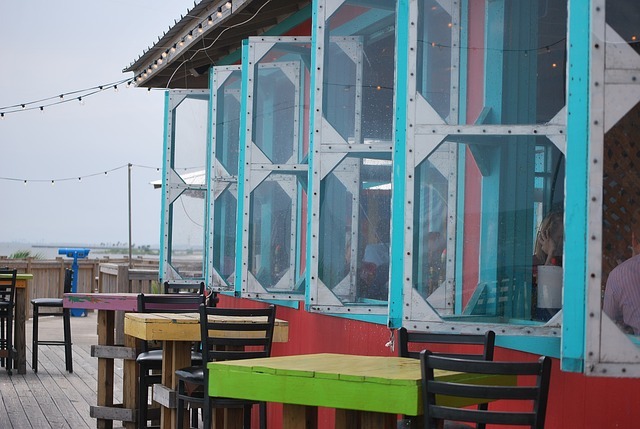 There actually were a few tables being served outside – I didn’t stick around to see what happened to their food when the storm hit – I don’t imagine they were allowed inside by the invisible management. As we all know, unhappy customers make a lot more noise than happy ones. Tomorrow, I’ll tell you about what became a happy ending and more business points learned as two other businesses get it right. The app, conspicuously named Disable_Windowsupdate.exe, is installed automatically without the owner’s knowledge. According to a support representative, it’s there to stop the computer from automatically downloading drivers from Windows Update that could be incompatible with the system or cause features to break. Unfortunately for Samsung it also appears to change the user’s update settings and disables Windows Update entirely. Once installed, the app even disables Windows Update after the user re-enables it. As anyone who has ever owned a Windows computer knows, no updates means security risks and other issues. Which raises a question – who owns the device? When you buy a house, you’re free to make whatever changes you want – paint it, knock down a wall, or add on. When you rent, your options are far fewer in number and you might not be allowed to make any structural changes at all. In my mind, Samsung is behaving like a landlord – you’re a tenant, don’t change our building’s structure. I’m sure you have other examples, but it raises the question of who owns what we buy? At what point does the notion of ownership become outdated? You might not realize it but you may not own your music, your electronic books, or even your car from a legal perspective. So what are we buying? If your brand responds to at least 65% of audience questions on Facebook and/or Twitter, you qualify as Socially Devoted. The benefits of Social Devotion are clear – Socially Devoted brands get 3.5 times more Interactions than their less-responsive counterparts. Needless to say, some brands are really good at this but many are not. Sadly, US companies ranked near last globally in responding to customer inquiries on social. What I found surprising was that it wasn’t the business sectors or brands – airlines and telecommunications to name names – that were at the bottom of the responsiveness heap. Actually, they ranked near the top. Instead, e-commerce – the last sector one would think would ignore the social space – was down towards the bottom. What do they mean when they say the US ranked near last? The US ranked 33rd out of the 37 countries, with US brands responding to only 18% of customer questions. Compare this to the average global Question Response Rate (QRR) of 30%…Of course, some US brands are providing great customer care on Twitter. A couple of examples are T-Mobile, whose @TMobileHelp handle received nearly 11,000 questions and responded to 75% of them, and Nike’s local branches (@NikeSF, @NikeBoston, @NikeSeattle, etc. ), which maintained QRRs anywhere between 76% and 84%. But many major companies, like Domino’s Pizza (@Dominos) and Walmart (@Walmart), had low QRRs on Twitter: only 13%, and 18% respectively. The US ranked 23rd out of the 24 countries — beating only India in our rankings. US brands had a response rate of 59%, compared to the average of 74% for all brands globally. US brands on Facebook with poor customer care included Nationwide Insurance, Wendy’s, and Samsung Mobile USA with response rates of 7%, 20%, and 18% respectively. Brands on Facebook with great customer care included many telecom companies — like Sprint with a QRR of 84% , T-Mobile (87%), AT&T (68%), and Verizon Wireless (72%). You can see if your company has been included in their rankings here. It might be easy to blame the poor response rate on short staff but clearly when one company can handle 8,000+ questions in 90 days (meaning they answer 91 out of 122 questions every day), it’s not an impossible task. So why isn’t every company doing that? My guess is that it’s a matter of priorities and customer-centric thinking. Maybe it’s also that they still see social channels as megaphones and not telephones. What’s yours? This Foodie Friday, let’s delve into the world of food mysteries. I hadn’t really noticed but apparently the holes in swiss cheese have been shrinking and no one quite knew why. A cynical commentator (who me?) might speculate that the opposite ought to be true, as margins rise when you’re selling empty space. Be that as it may, it was really a problem and scientists did some investigating. The answer is instructive for anyone in business. You know that cheese is made by the interplay of bacteria and milk. The bacteria is added and the differences in the milk (sheep, cow, goat, etc.) and the strain of bacteria are what make different cheeses. 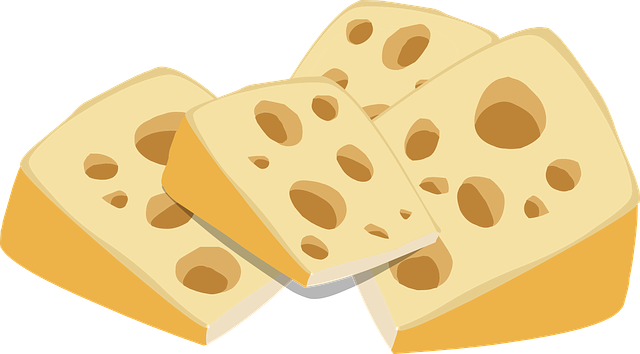 Swiss cheese is cow’s milk and three unpronounceable strains of bacteria, none of which had been changed; yet over the last hundred years, and very much over the last fifteen, the holes have been shrinking. Why? Turns out it had to do with improved cleanliness. Better sanitation resulted in a safer product but also removed microscopic bits of hay from the milk. Those hay bits were critical in the formation of the holes. That solves our mystery but also raises the business point. We’re all familiar with the law of unintended consequences but how many of us take the time with our team to think through the effects that law might bring with every new action? Product changes, a new marketing plan, or any other change has the potential to bring about changes that aren’t readily foreseen unless we spend the extra time to think about them. It’s nice to tie executive compensation to our stock price but maybe that has the unintended consequence of focusing on the short-term or good financial results at the expense of better customer service. Maybe we cut the price to get a deal but then realize we’re losing money. Maybe we reduce quality to save on costs and watch as a competitor steals share. Making the milk cleaner was a great idea – who wants customers getting sick and dying? The unintended consequence was a big change to one of the product’s signature features. After all, without the holes, Swiss Cheese is just Emmental and Appenzell. That mystery took 100 years to solve – hopefully the mysteries inherent in your business won’t take that long.